Georgiana Cavendish, Duchess of Devonshire, was probably the most charismatic and fascinating lady of her time. London’s leading socialite, she married the 5th Duke of Devonshire in 1774. She was a woman who loved to gamble, entertain and spend, but there was so much more to her. Portraying aristocratic family life in Georgian times, this book is based on three years of detailed research, much of it new, and examines the Duchess and her husband in a far wider context. It explores how their lives were influenced by national events, vast wealth, illness, debt and it shows in depth how Georgiana influenced fashion, jewellery, house décor, party going, and much more over her lifetime. The Duke and Duchess’s lives at Chatsworth, Chiswick and in London are revealed. 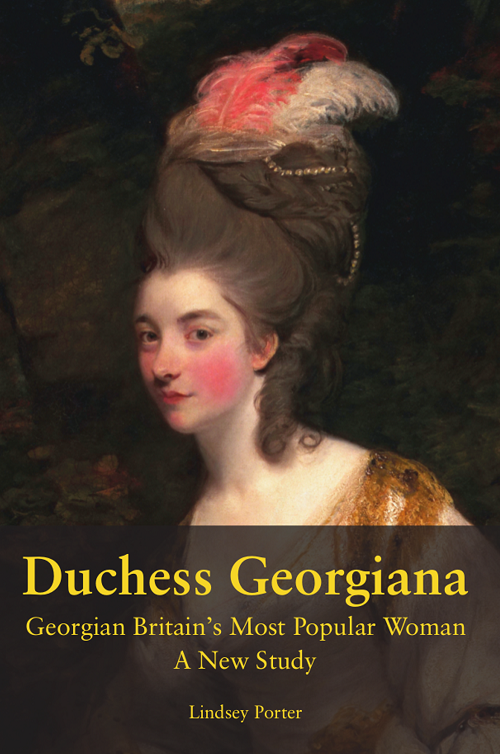 This book takes you on a journey through the life of Georgian Britain’s most popular woman.